You can add a notification to a folder contextually, assigning the notification type and notification mode directly to a folder. 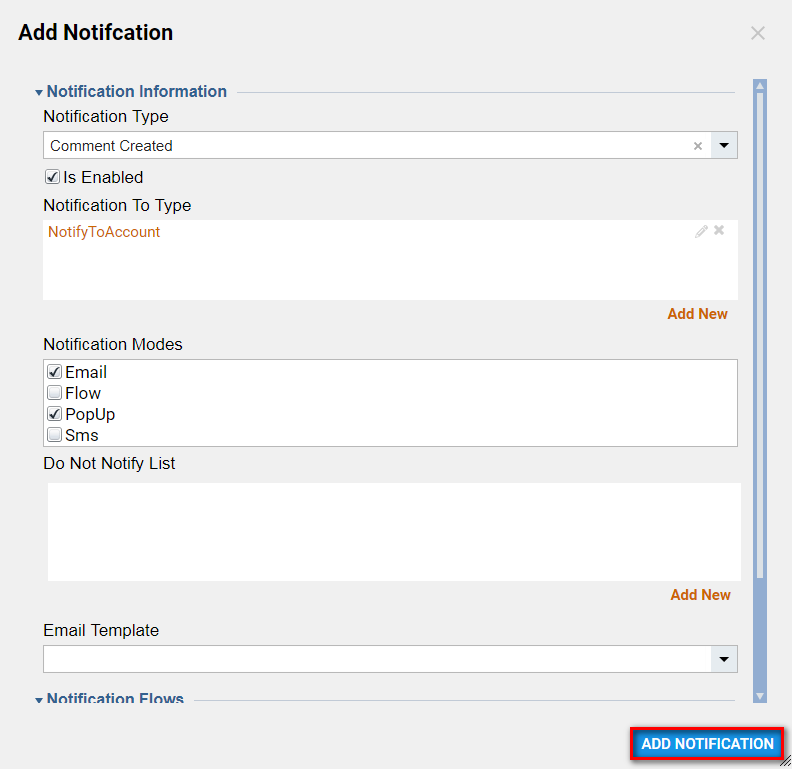 The platform has a wide variety of default notification types, the events that trigger the notification to be sent, such as comment created, group deleted, and page edited. Notification modes include email, SMS, PopUp, and Twitter. To add a notification to a folder, select the folder, select the Actions	menu in the upper right, and select Add > Notification	. In the Add Notification pop-up, in theNotification Type	drop-down list, select the Comment Created	option. Each time a comment is created in this folder, the system sends a notification. To configure which users receive the notification, click the Add	button to the right of the Notification to Type	and select Notify to Account	. In the Edit Object pop-up, click theAccount Name	selector. In the Select Account pop-up, in the list on the right, select the name of the account to receive the notification. Click OK	to close the Select Account pop-up, then click Save	on the Edit Object pop-up. In the Add Notification pop-up, next to Notification Modes	, select the Email	and Popup	checkboxes. Under Notifcation Processing , if a particular processing flow is needed to run first before sending the notification, check theProcess Before Sending	checkbox. If you want to exclude a user, group, etc. from receiving the notification, add that information to the Do Not Notify List	field. Click Add Notification	to save the notification. 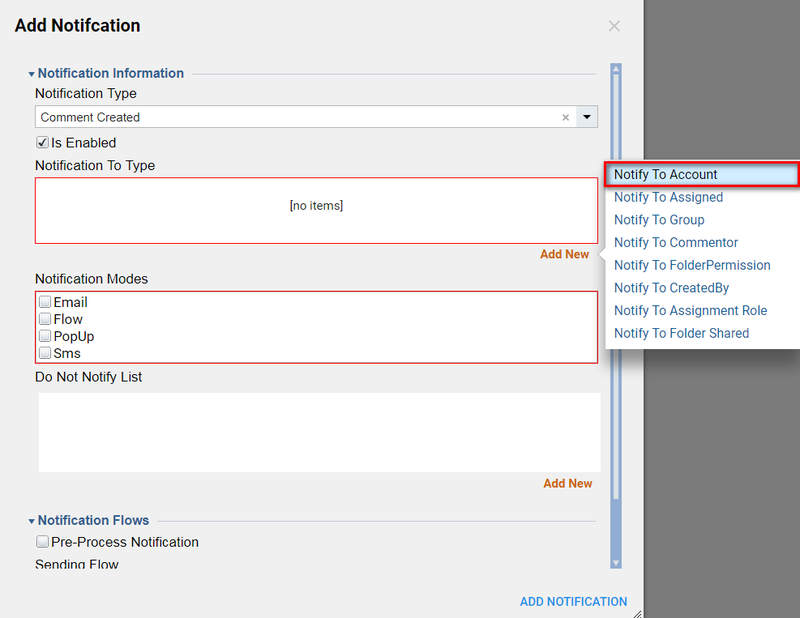 When any user adds a comment to theAssignment Flow	folder, the account will receive an email and popup notification.